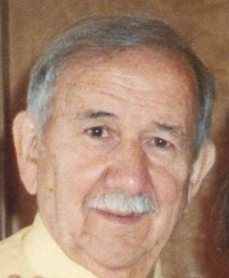 Rocco “Roy” Mammolenti, 86, of Mishawaka, passed away Thursday, March 21, 2019 at home. Roy was born October 28, 1932 in Mishawaka, a son of the late Pietro and Theresa (Martino) Mammolenti. He was a graduate of Mishawaka High School. He served his country in the US Army during the Korean War from 1953 – 1955. Roy married Patricia Dickens on December 26, 1955 and the couple made Mishawaka their home. Roy was employed at Studebaker Corporation and later was employed many years at Excel Corporation (Dura) in Elkhart. He was a member of St. Joseph Catholic Church in Mishawaka and at one time was a Eucharistic Minister. He enjoyed flower and vegetable gardening and was a great cook. Roy is survived by his wife of over 63 years, Pat; five children, Janice (Noel) Struck, Michele Mammolenti, Annette (Devin) Gosztola, Roy “Michael” (Bev) Mammolenti and Nichole Mammolenti; 17 grandchildren, 6 great grandchildren; a sister, Marian DeKeizer; four brothers, Pete (Pat) Mammolenti, Milio Mammolenti, Jim (Shirley) Mammolenti and Joe (Carol) Mammolenti; and two sisters-in-law, Marilyn and Jean Mammolenti. Roy was preceded in death by an infant daughter, Marie; a sister, Rose (Gerald) Marsh; two brothers, Sam and Bob Mammolenti; a sister-in-law, Carole Mammolenti; and a brother-in-law, Camiel DeKeizer. Mass of Christian Burial will be celebrated at 11 am on Tuesday, March 26, in St. Joseph Catholic Church, 225 S. Mill Street, Mishawaka, with Rev. Christopher Lapp officiating. Burial will follow at Fairview Cemetery. Military honors will be provided by VFW 360 / American Legion 161 Burial Squad. Visitation will be from 4 – 7 pm Monday in Goethals & Wells Funeral Home, 503 W. 3rd Street, Mishawaka. Memorials are suggested to St. Joseph Catholic Church.